Barbara Coronado joined the PPEP administration in 1999; bringing over 20 years experience in finance for non-profit organizations. Prior to joining PPEP, she was a Contract/Audit specialist for Catholic Community Services of Southern Arizona, Inc. In 2002, Barbara was appointed Director of Finance for PPEP Inc. responsible for the overall financial operations of the organization. In 2006 she was named a Chief Administrative Officer and appointed to PPEP’s Management Team. In 2012 Barbara was appointed as PPEP’s Chief Operations Officer, responsible for the daily operations of all PPEP office functions and managing the organization’s day-to-day operations and reporting them to the Chief Executive Officer. Barbara also works to ensure the ongoing maintenance and updating of various information systems and infrastructure to provide accurate and relevant programmatic and financial information. Barbara was awarded the PPEP Employee of the Year in 2003. 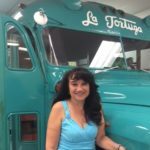 A native Tucsonan, she is active in her community and volunteers by providing accounting services and assistance to various small businesses. Dr. Johnson Bia is Deputy CEO of PPEP Inc., a large non-profit multi-service organization dedicated to rural and international development. PPEP is the charter holder for six charter high schools and two on-line high schools. PPEP programs include micro-business lending, employment & training for adults & youth, Youth Build, farmworker programs, housing development, senior housing, social/human services, behavioral health counseling, developmentally disabled group homes, prevention programs and international projects in Mexico, Ghana, Nigeria, Liberia, Cameroon and Somalia. Bia re-joined PPEP in July 2014 as a member of the Board of Directors of PPEP Microbusiness & Housing Development Corporation, and then as Chief Administrative Officer and then as Deputy CEO. During 1987–1992 Bia served as Executive Director of PPEP Rural Business Development Corporation operating six postsecondary institutes PPEP Training for Employment Centers (TECs) and State Director of Migrant & Seasonal Farmworker Program. During 1992 – 2014 Bia served as Executive Administrator with Pima Community College (Dean – 6 years, Vice President – 6 years and President – 10 years) until his retirement in June 2014. He has an earned Doctorate of Philosophy degree from the Iowa State University of Science & Technology in 1986, and Master of Science and Bachelor of Science degrees from the University of Arizona. 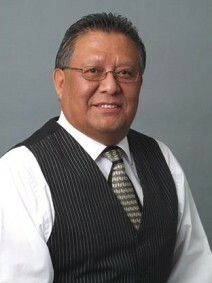 Among numerous achievements and awards, recognitions include Phi Kappa Phi, Alpha Zeta, Alpha Tau Alpha, Outstanding Graduate Student, Graduate Student Senate, Outstanding Academic Achievement & Community Service Awards, Outstanding Alumni Awards, LULAC National Presidential Citation, Pima County Career & Technical Education Hall of Fame, PPEP Farmworker Hall of Fame, twice recognized with “Excellence” from Pima Community College, and “Challenges and Opportunities Facing Contemporary Native Americans,” published in Ethics in Sami and Indigenous Research, Karasjohka, Norway 2008. Dr. Bia is active in numerous local, state and national organizations. Bia serves as statewide President of Arizona Alternative Education Consortium, Board Secretary of Arizona Interagency Farmworker Coalition, active member of Arizona Town Hall, Arizona Rural Human Services Network, and Behavioral Health Committee of Refugee Integrated Service Providers Network. 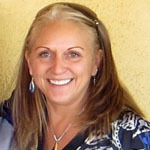 Bia previously served 10 years on the Pima County Workforce Investment Board, was instrumental in the establishment of Pima County JTED, served as board member of Arizona Private School Association, and served as Accreditation/Re-Accreditation team member of Accrediting Council for Continuing Education & Training (ACCET) and North Central Association (NCA) for Colleges and Schools. At the national level he was active with American Association of Community Colleges, National Council for Workforce Education, Workforce Development Institute, National Council for Continuing Education & Training, and National Association of Community College Entrepreneurship. He conducted numerous international projects with educational institutions in Mexico, Norway and Denmark. He also served as Societal Consultant to numerous architectural firms in planning, designing and constructing comprehensive health care facilities and educational facilities in Native American communities. Dr. Bia’s expertise is in strategic planning, program development, resource development, community/business partnerships, student learning outcomes and organizational development. Dr. Bia is the son of a Navajo Code Talker and is a proud member of the Navajo Nation. In July of 1987, Kari started working with PPEP, Inc. Kari began her career as a Program Coordinator for the Developmentally Disabled programs and after six years, she then transferred to the employment and training division, working with farmworkers and other disadvantaged populations. Throughout the past 29 years working with PPEP, Inc. Kari has moved through the ranks and is currently a Chief Administrative Officer. Kari currently oversees and manages 10 programs, 16 grants, and 10 offices for employment, training, housing, and education throughout a nine county area; working with both youth and adult populations through federal, state, and county programs. She supports the farmworker movement, as she is actively involved in two regional associations, where she is On the RMHI Coalition Board and Secretary/Treasurer of the WAFA Association. She is actively involved with the AFOP National Association and sits on the Executive Board. She sits on WIOA workforce board in Pima County, the Arizona Community Action Board, and other community coalitions that support youth and adults within the communities she serves in Arizona. Going forward Ms. Hogan is looking to develop a comprehensive youth training facility in the Tucson area incorporating restorative practices. 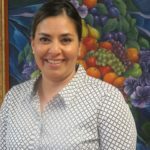 Roxanna Gonzalez, MA, LISAC, LAC is the Executive Director of PPEP Inc. Integrated Care division. She oversees the Behavioral Health and Intellectual Developmental Disability programs and services provided by PPEP, Inc. Reporting to the C.E.O., she is a key member of the PPEP, Inc. executive management team. Roxanna has been employed with PPEP for a combination of 14 years as the Behavioral Health Clinical Director and Clinician. She has many years of management expertise included in her 20 years of providing clinical services to individuals and families in Arizona. She was previously employed as a supervisor with Southeastern Arizona Behavioral Health services where she managed outpatient clinics. In addition, her behavioral health management experiences included employment at Native Images and with the Pascua Yaqui Tribe. 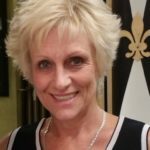 She is an Arizona Licensed Substance Abuse Counselor (LISAC), holds a Masters from the U of A in Special Education and Rehabilitation Counseling, and a Bachelor’s degree in Psychology from U. of A. with emphasis in child disorders. 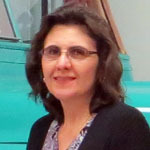 She received Certificate of Achievement from the U. of A. Hispanic Association, was a four year recipient of the Gebbler Memorial Scholarship and four year honorable mention at the U. of A. Roxanna’s combination of experience, knowledge, licensure and educational achievements in her field, compliment her continued contributions and quality service initiatives she directs. She manages herself and others with the highest level of ethics, integrity, exceptional boundaries and embraces cultural competency and diversity. Jay comes to PMHDC from a banking background. He previously worked for Bank of Tucson, beginning there as a teller and quickly moving up to an Assistance Vice President for Commercial Lending. Prior to accepting the role of Executive Director Jay had been very active in providing critical advise to PMHDC as a loan review committee member for over two years. Jay Diallo obtained his Bachelor’s Degree in Political Science in International Foreign Affairs Relations and a minor in Economics and Business from Westmont College in Santa Barbara, California. Always striving to grow and further develop, he enrolled and successfully completed a rigorous three-year Master’s level degree in Banking and Leadership from one of the premier post graduate level banking schools in the country, Pacific Coast Banking School in Seattle, Washington. On a leadership level, Jay has been very active in so many different ways and capacities in serving our community. For example, as the current President of the Rotary Club of Tucson Sunrise, Jay has been very instrumental in coordinating service projects in our community including volunteering for the community food bank, Tucson Diamond Children’s Hospital, Ben’s Bell, to name only a few. In addition to Rotary, Jay is also the current Board Chairman of the PPEP Inc. Foundation. 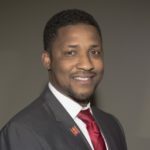 T. Jay Diallo is also the founder and CEO of a nonprofit organization called Global Children’s Fund (www.globalchildrensfund.org) dedicated to providing access to education and basic needs for children from impoverished communities around the world. While balancing career and community involvement, Jay also demonstrates leadership skills at home as he is most dedicated to his family. He is a loving husband and proud father of two. 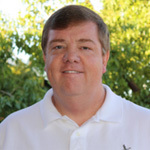 In June 2016 Jacob (Jake) Herrington was named Executive Director of Property Management, New Construction, New Development, Transportation and Property Insurance for PPEP, Inc.
Jake Herrington began his career in the multifamily property management industry in Tucson. Over his twenty five years of on-site management, Jake was privileged to work with two of the most esteemed property management firms in Tucson, both Accredited Management Organization® (AMO®) firms. He was charged with turning around troubled assets as well as overseeing large luxury apartment communities. Over the course of his career, Jake was the recipient of many achievement awards, including the Administrative PPEP Employee of the Year in 2012. 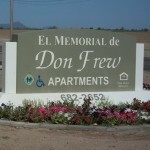 In 2008, he was one of two finalists for Manager of the Year awarded by the Arizona Multi-housing Association. Jake has made a difference in each role that he has held and is focused on surpassing expectations in all of his endeavors. In conjunction with his new role, Jake will continue to serve as a member of the PPEP & Affiliates Inc. executive management team and lead PPEP & Affiliates Inc.’s efforts in corporate planning and operations of Single Family, Multi-Family Housing and New Commercial Development projects and assist in the planning efforts in corporate planning and operations. Rosemary obtained her Bachelor’s Degree in Human Resource Management at the University of Arizona, Eller College of Management in 2001. After working for a few local Non-Profit organizations in various roles, Rosemary joined PPEP in May of 2006 as a Senior Benefits & Compensation Analyst. In 2009 she was awarded PPEP Employee of the Year. And was also honored as the PPEP Overall Employee of the Year in 2014. In 2016 she was promoted to Benefits Manager and in 2018 she became the Director of Human Resources. Rosemary oversees over 400 employees, while improving their lives and continuing the legacy of the PPEP mission. She manages herself and others with the highest level of ethics and integrity. As a current member of SHRM, she is actively involved in the community’s well-being of others, both on and off the job. She is a native Tucsonan who enjoys outdoor activities, her family, baking and traveling. Robert Riggs started at PPEP in 1999 as a Student Record and Recording Specialist. He replaced the old student attendance reporting program with the new and present MIS/School Master program, connecting PPEP Tech High School directly to the Arizona Department of Education. In 2001 he transitioned to the IT department where he was a Computer Technician. In 2006 he was appointed to the position of Information Technology Director. Robert was promoted to Executive Director for Information Technology in 2017. Robert was elected PPEP Employee of the Year for the administration department in 2004. In 2005 he was awarded the PPEP Overall Employee for all of PPEP Inc. Throughout the 17 years with PPEP he has been involved in many projects. Some tasks include working with the IT team in setting up and maintaining school computers, routers, switches, servers, Wi-Fi, etc. The IT team is responsible for Anti-Virus protection, Firewalls, Windows updates, Backups, Inventory, Cisco VoIP phones, and support of over 600 computers, Chromebooks, Laptops, and peripherals. Internationally Robert supervises the Project EIC (Eliminating Computer Illiteracy) in Ghana Africa which is directed by Walter Edem. Prior to working for PPEP Robert was employed by TUSD. Some of Robert’s accomplishments include being President of the local FFA and Vice President of the local 4-H. He earned the State Farmer degree in 1983. In 1991, Robert not only became a GM Master Mechanic, but he earned the maximum score on the assessment. He also earned the ASE Certified Master Mechanic Degree, which is the highest status available in the automotive industry. He continued his education at Pima Community College and the University of Arizona with two degrees in Microcomputer Technology and LAN/WAN system specialist. Robert grew up on a family ranch 20 miles outside of Willcox. Along with his parents, he maintained the ranch with an average of 200 head of cattle. Robert continues to assist his dad with running the ranch. Ms. Bass serves as Executive Director of Prevention for PPEP and is the founder and Director of the Pima County Community Prevention Coalition. She has a Master’s degree from ASU College of Public Programs, with a Policy, Administration and Community (PAC) major. Having 23 years’ experience working in youth and family services in positions as facilitator, coordinator, trainer, manager and director, Ms. Bass has effectively managed multiple grants from the local, county, state and federal levels and programs and projects covering a broad reach of the community. In 2006, Ms. Bass began the Pima County Community Prevention Coalition through a SPF-SIG grant from AZ GOYFF, which continues to thrive and serve as Pima County’s largest prevention coalition. In 2007, Ms. Bass started the Drug Free Communities Coalition in Amado, AZ and over the past 11 years, brought multiple funded projects in to serve this rural community. Ms. Bass writes grants to maintain the prevention programs and oversees all PPEP youth substance misuse prevention operations. Ms. Bass also serves as the field supervisor for ASU Social Work Interns and serves as an adjunct faculty for the ASU School of Social Work. Her passion lays in creating collaborative partnerships to prevent underage drinking and other drug use among youth to prevent addiction and its negative impact on individuals, families and the community. Wayne Tucker is the Superintendent of PPEP TEC High School, a network of six alternative high school campuses stretching across Southern Arizona. The mission of PTHS is to provide innovative, high quality educational opportunities to students whose needs have not been met by traditional schools and who are at risk of disengaging from the educational system. Wayne began his academic career as a biology student in his home state of Florida but transferred to Bennington College, in Vermont, where he earned a Bachelor of Arts degree in Philosophy, concentrating in epistemology and cognitive systems. Some years later, he earned a Master of Secondary education degree from the University of Arizona and has been devoted to the study of Alternative Education throughout his entire teaching career. 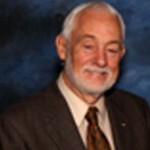 Wayne was a member the first teacher team at Buena High School’s Alternative Learning Center, located in Sierra Vista, AZ, which was subsequently designated an Exemplary Program by the Arizona Department of Education and included for national replication in its Dropout Prevention Toolkit. 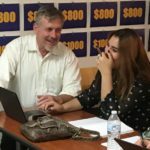 He has turned around high school programs in Douglas and Bisbee, where he served as a Lead Teacher and Department Head, respectively. 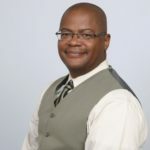 He is also a board member of the Arizona Alternative Education Consortium and has been appointed by the Arizona State Board of Education to its Alternative Accountability Technical Advisory Committee. Since moving into the role of Superintendent of PTHS, Wayne has committed himself to developing leadership capacity within the sites and fostering a culture of safety, support and intellectual challenge.